Cranberries – Food Source, Inc.
We make connections for You! 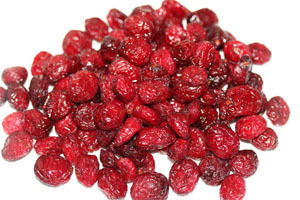 Dried cranberries are prepared from fully mature, first quality cranberries by infusing whole berries in a sugar solution, the infused cranberries are air-dried at a moderate temperature until a specific moisture is obtained. The fruits are visually inspected before packaging. No artificial ingredients added.